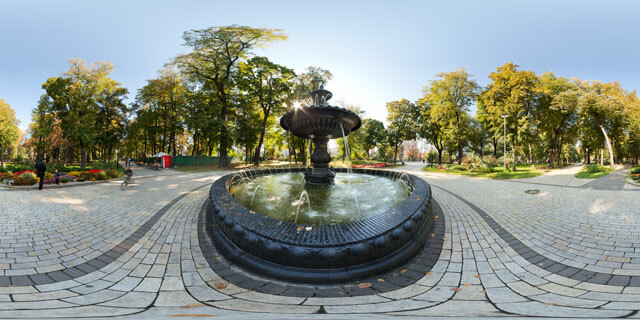 360° VR panorama from the viewpoint in front of the Monument to Prince Volodymyr, in the Pechersk Raion of Kiev. 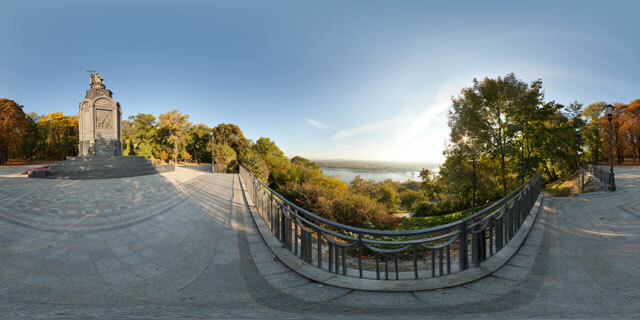 The view looks out over the Dnipro river towards Trukhaniv Island, covered in trees in their autumn colours. Prince Volodymyr, also known in English as St. Vladimir the Great, was the first Christian ruler of Ukraine. 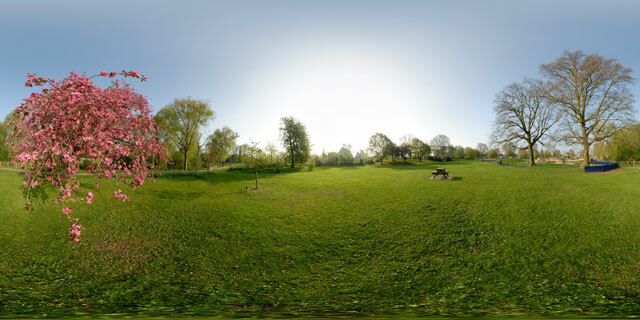 The monument is located in a park on Volodymyr’s Hill. 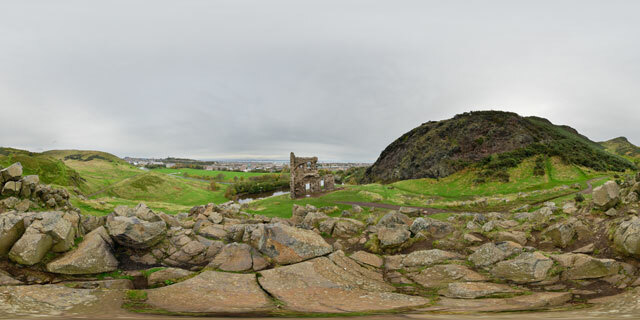 360° VR panorama from a pile of rock near the ruins of St. Anthony’s Chapel, in Holyrood Park, Edinburgh, Scotland. The origin of St. Anthony’s Chapel is unknown, but it was recorded in 1426 that the Pope gave money for its repair. So it was certainly in existence before then. 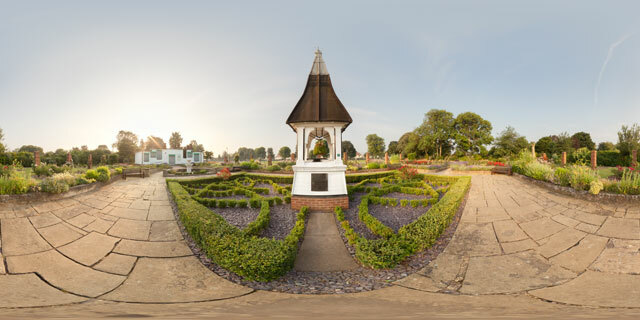 The last chaplain was recorded in 1581, and it has since fallen into its current ruinous state. 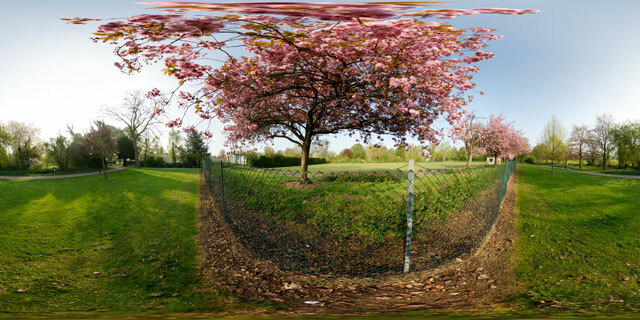 Holyrood Park was created in 1541 when King James V of Scotland had the area enclosed with a stone wall. 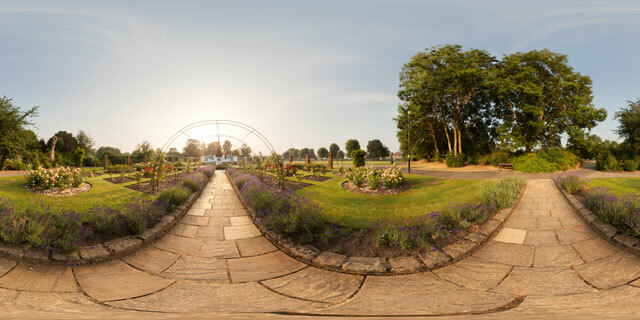 The park contains an extinct volcano, the peak of which is known as Arthur’s Seat. Due to its landscape, history, and wildlife, Holyrood Park has been scheduled as an ancient monument and site of special scientific interest.